Our very own Adrian Stankiewicz won the 2015 UK Fashionista Award with his stunning photo of an Issey Miyake-inspired men’s image. We couldn’t believe it when we won as there were so many great entries, but Adrian’s unique style really stood out and – not that I’m biased or anything – but I think it’s a massively well-deserved win for him! It’s given our team such a big confidence boost and Adrian has been flat-out busy ever since. 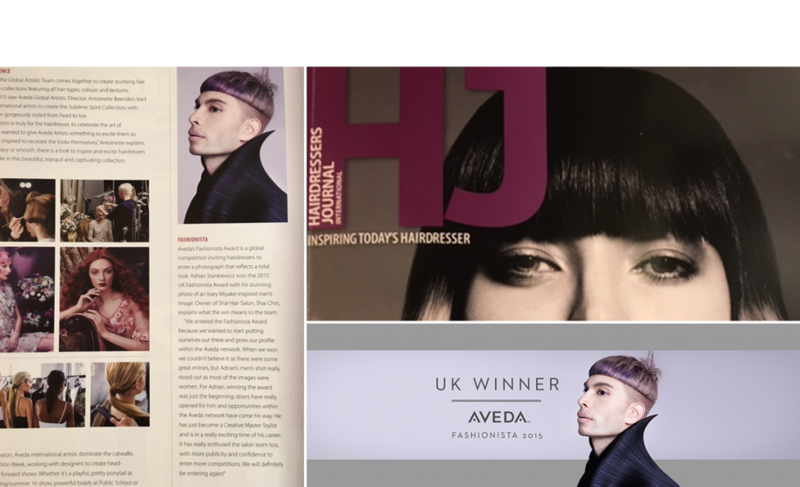 If you’d like to find out a bit more about our creative Master Stylist, Adrian, including what he thinks about winning this award, check out my ‘Interview with Adrian Stankiewicz‘ post. I think it’s so important to help all my staff realise their potential, so I’m a firm believer in supporting them when they want to enter awards – all the hard work is so worth it when they get the recognition they deserve. I love my team – this makes me so proud!